A Bible versus that always leaps out to me and stays on my heart is Matthew 19:14 when Jesus is telling the disciples to “let the little children come to me and do not hinder them, for to such belongs the kingdom of heaven.” We have a large responsibility to be sure every child has the opportunity to learn about their Heavenly Father and His unconditional love for them. This makes the work Trinity/HOPE does in Haiti even more special. In a country where many outsiders see no progress and say is hopeless, I see a brighter future in each child’s eyes we serve. I see a life no longer controlled by the devil but instead HOPE for a better tomorrow. By providing a noon meal each school day the children are able to focus and retain what the teachers share, increasing their chances to be productive members of society. Today in Haiti 48% of Haitians over the age of 15 are illiterate. The children help their parents by reading aloud to them from the Bible and witnessing to them. They are the future for a better Haiti! At Trinity/HOPE we are often asked “Do you know if the programs really work, and what happens to the kids when they get older?”. The young man in these pictures is VonsKeeper Orelus…graduating from Kindergarten, heading to primary school, graduating from secondary school, and standing in front of the University where he is now a freshman studying Engineering. VonsKeeper was in our feeding program at Bon Berger in Port au Prince his entire school career. He is a very bright young man that loves his country and wants to impact Haiti’s future. 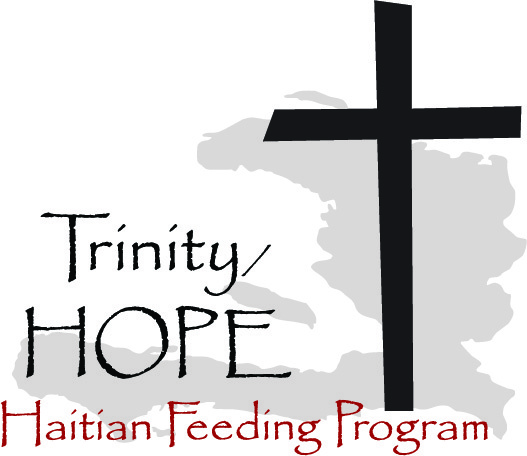 He credits the Trinity/HOPE feeding program for helping him be able stay focused on his studies. He was one of 22,000+ Trinity/HOPE feeds every school day, giving each child an opportunity for a better future. Thank YOU for helping make this possible.